Kinda cute. 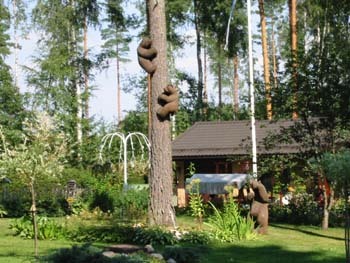 Wooden bears in a garden in Savio. Safer than the real thing!